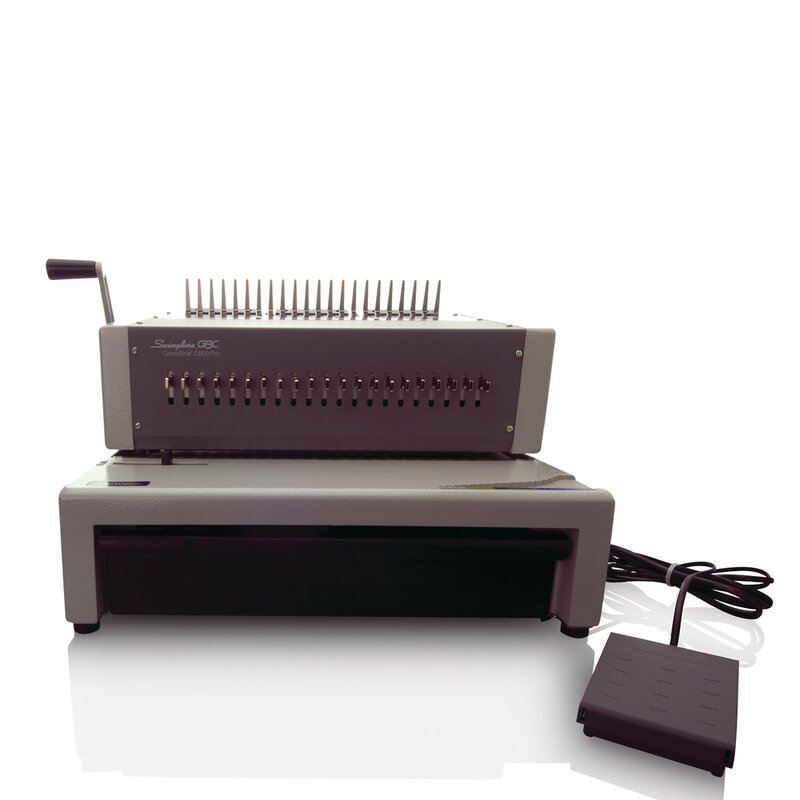 For frequent binding users, the CombBind® C800pro delivers the capacity and durability. 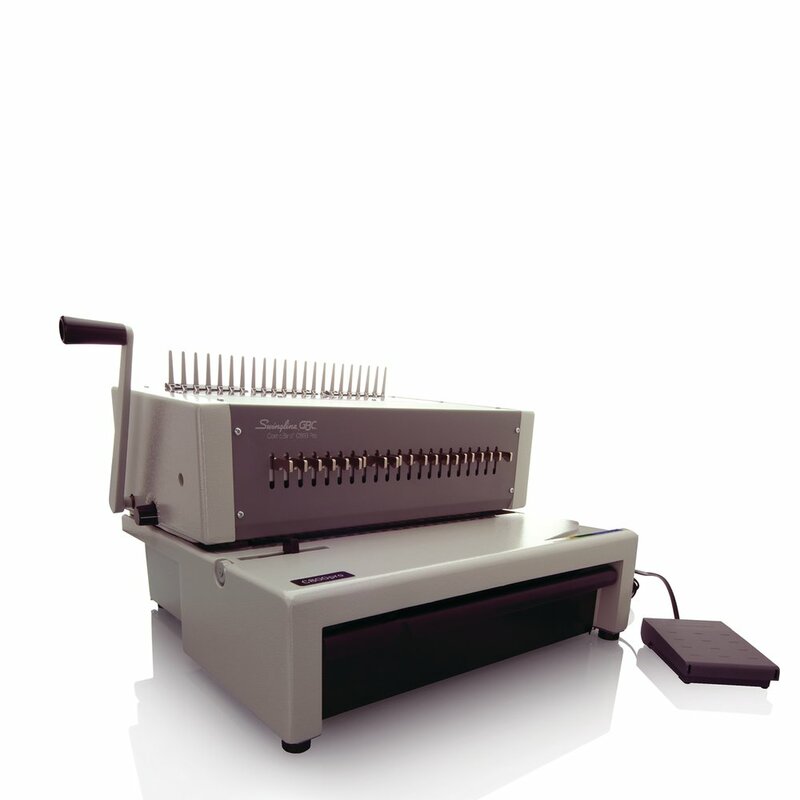 Punches up to 25 sheets and binds up to 425 sheets. 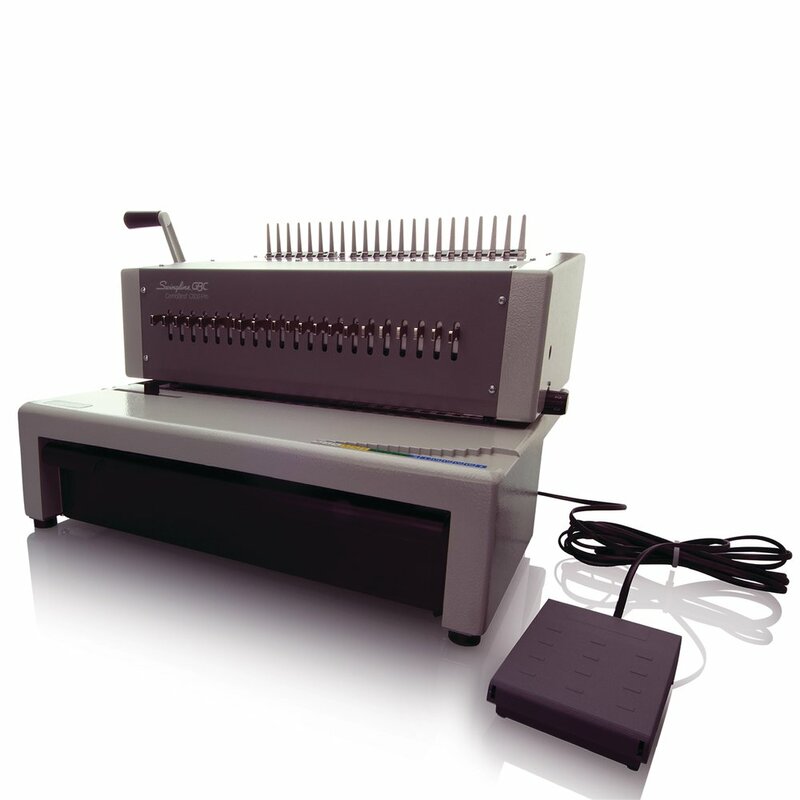 Includes a foot pedal for fast, hands-free electric punch operation. Adjustable pins punch any size document up to 12” wide. Adjustable punch depth. Extra large drawer for punch chips. Limited one year warranty.